Awesome stocking stuffers are like unicorns… everyone wants one, but they’re hard to find! Never fear though – we’re here to help (although unfortunately, you’re on your own with the unicorn)! 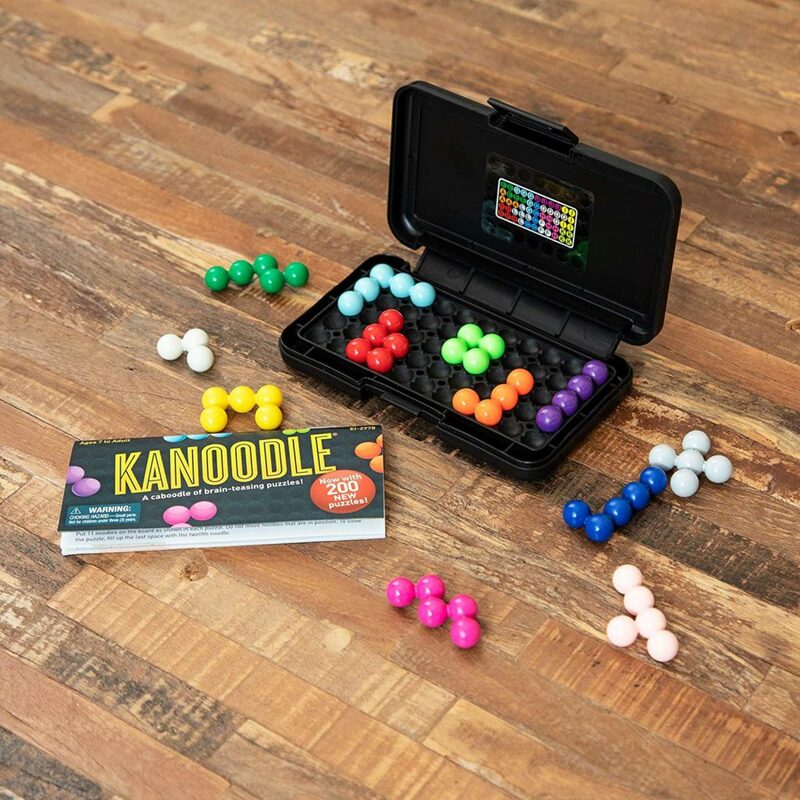 We’re rounded up some of the best Stocking Stuffer Ideas for the whole family… for him, for her, for boys and girls and we even found some gifts your teens might actually like! 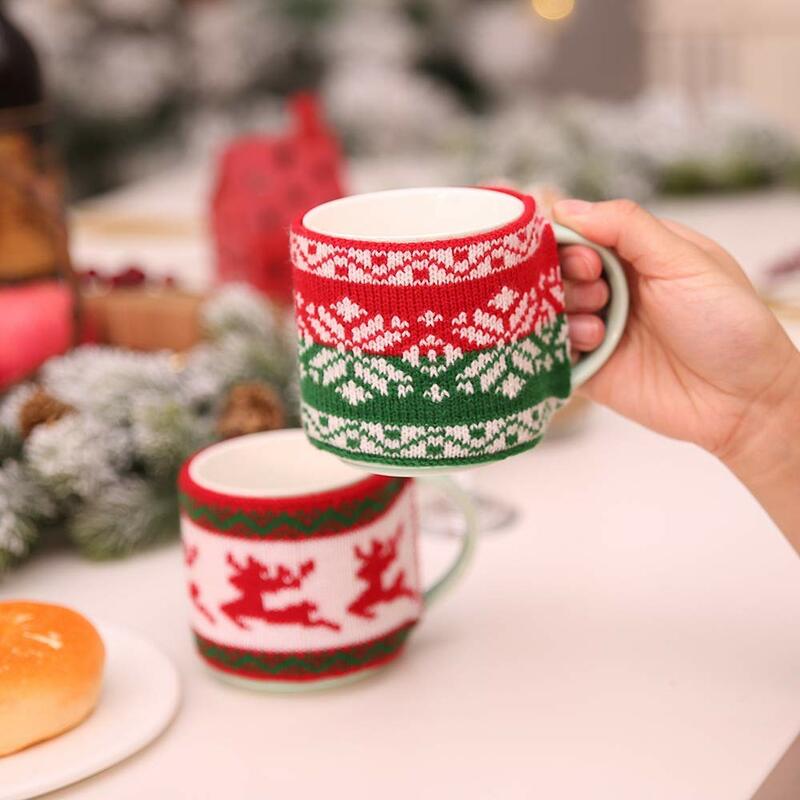 Check out our Ultimate Stocking Stuffer Gift Guide and fill those stockings with surprises they’ll love this Christmas morning! I know I’m not the only one who has a hard time coming up with stocking stuffer ideas for my husband, am I? 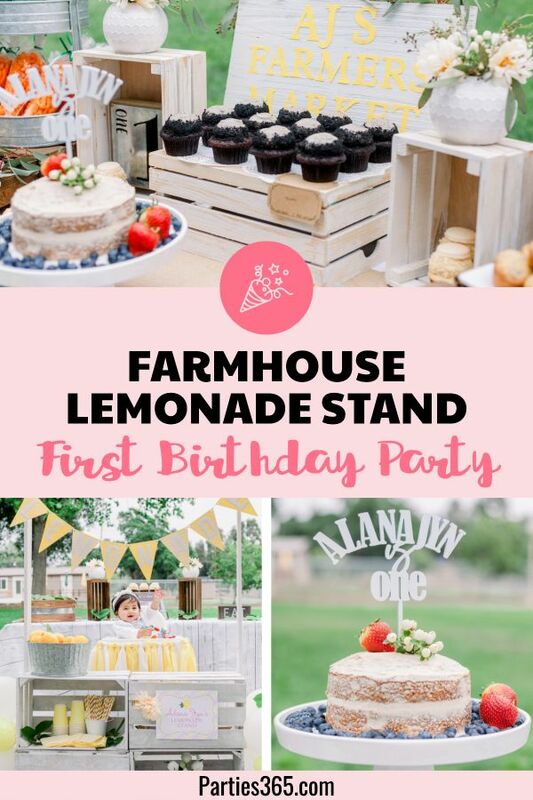 I also seem to always put off this task until the very last minute, so other than my go-to of craft beer and chocolate, he usually ends up with something lame. Not this year! Here are 5 gift ideas that the man in your life is sure to love! 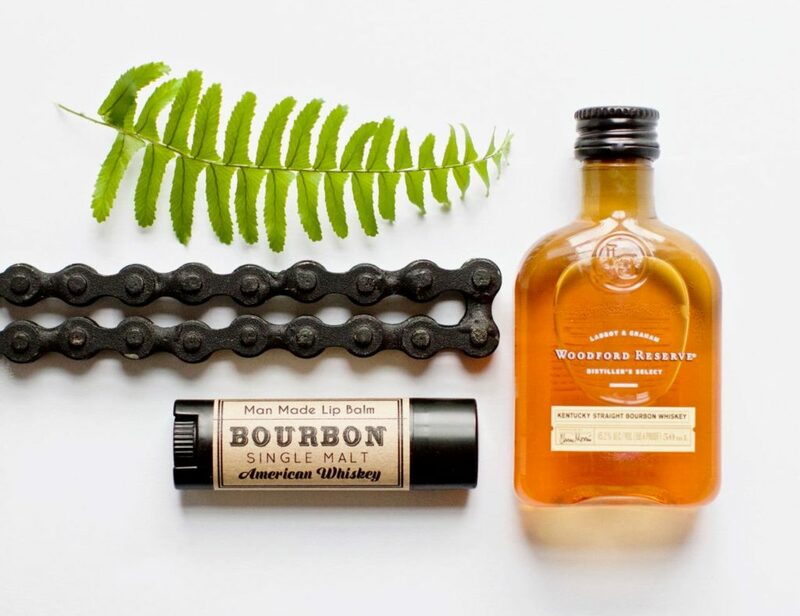 What does every Bourbon and Whisky loving man need? Bourbon Lip Balm of course! Not only is this lip balm fun and funky its also intensely moisturizing and contains zinc a natural sunblock. Plus, you’ll love kissing him with this on his lips! Simple, but useful. 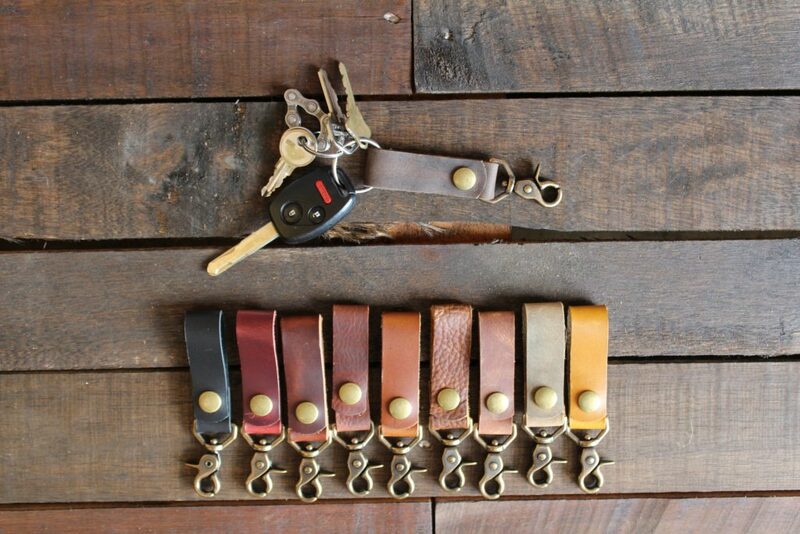 These leather key fobs are made from a high end, eco friendly, top grain, USA tanned leather and come in a variety of colors.! We love the antique brass heavy swivel snap and matching heavy duty antique brass snap and think he will too! 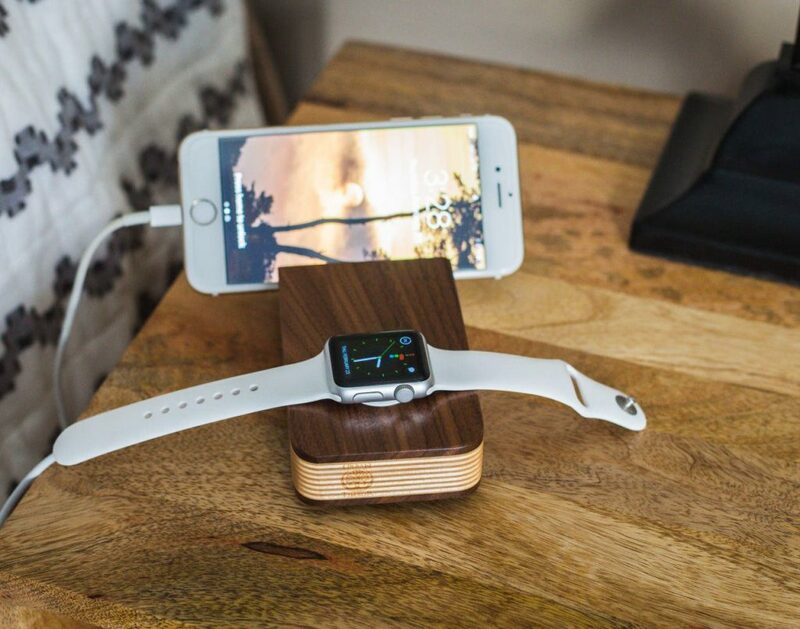 He can securely dock and charge his Apple Watch & iPhone with this elegantly designed station made from premium walnut and birch woods. It’s compact design is perfect for a desk or nightstand. 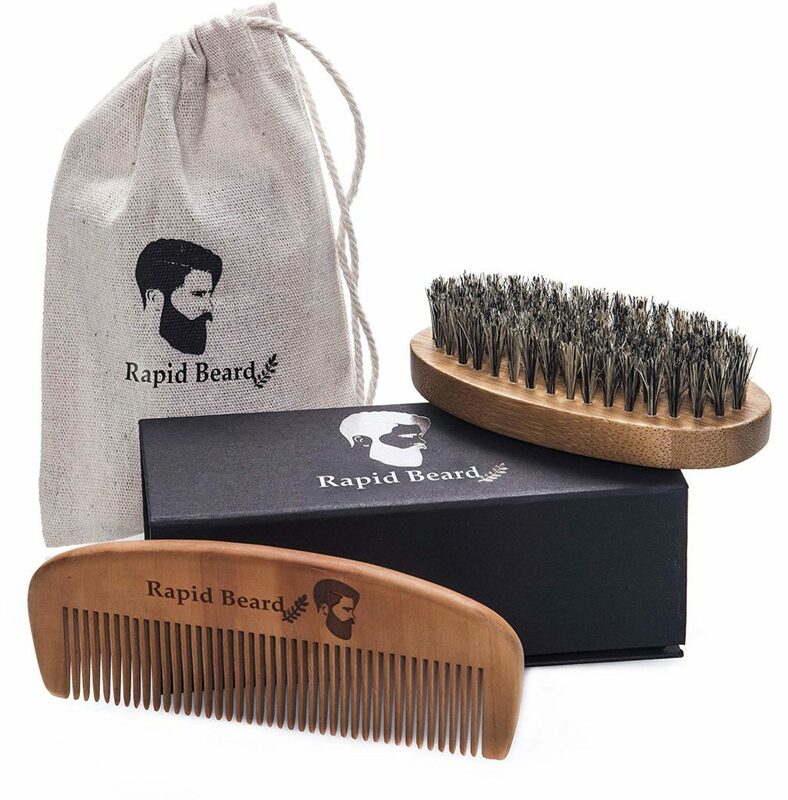 If your man has a beard, he’ll love the natural wooden comb and 100% boar bristle beard brush set in this grooming kit. The brushes work great on any type of hair including long, short, thick, thin, soft, firm and coarse beard hair. Q: How does a penguin build a house? A: Igloos it together! That’s right, Dad jokes are awesome! 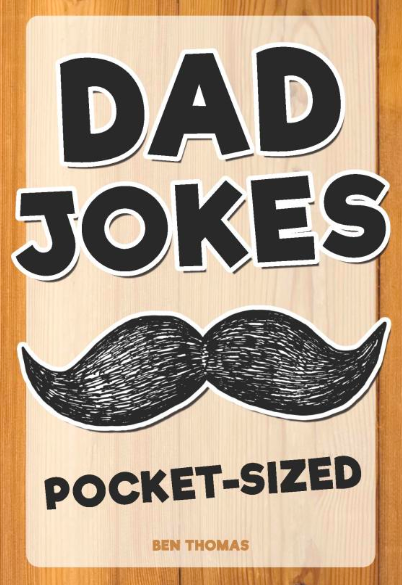 This stocking stuffer is full of some of the most hilariously awful dad jokes known to man, and will leave your friends and family confused about whether they should laugh or groan! Okay ladies, this is a list you’ll want to pass along to your significant other… or just buy these gifts for yourself and put them in your stocking! This elegantly designed gift set will help you unwind after a busy holiday season. 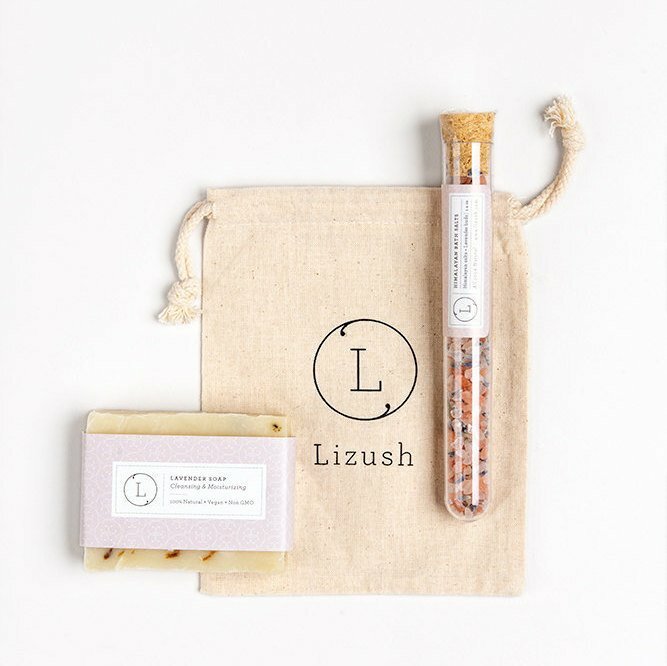 Packaged in a large cotton bag, it features an all natural Lavender favor sized soap and Himalayan Bath Salt Tube. 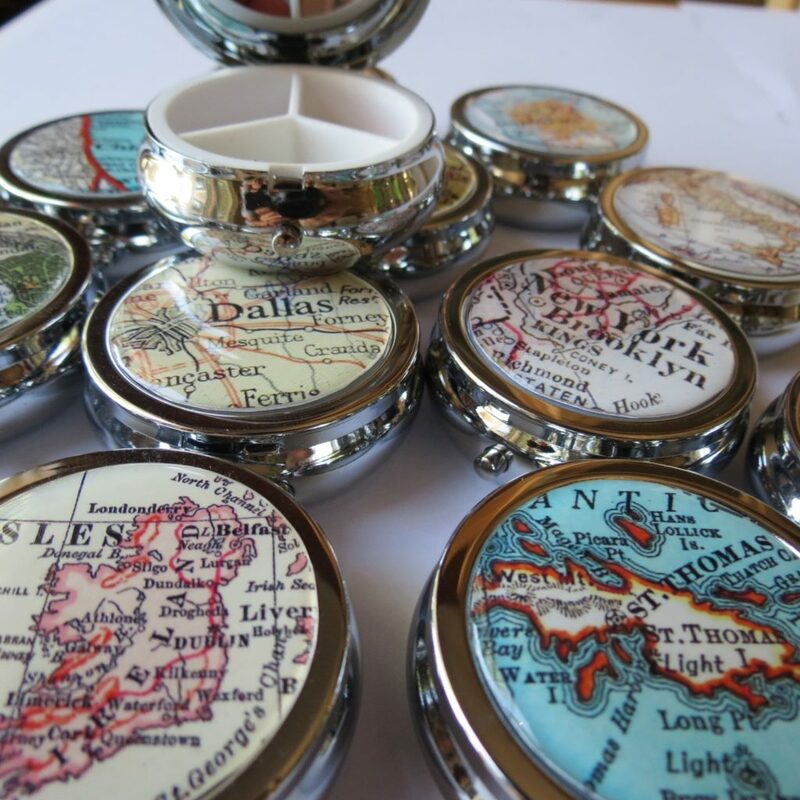 Pick ANY location or country for this custom vintage map pill box case. The personalized pill box can be used to hold pills, mints, medications, vitamins, trinkets, candies, coins, small craft supplies and even small jewelry when she’s traveling. Unique and one of a kind. 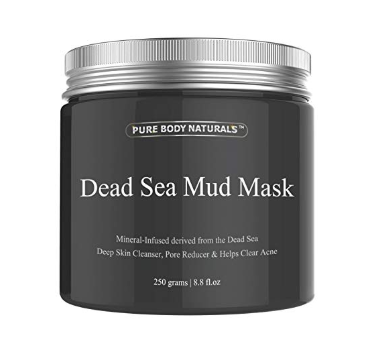 Simply formulated using high quality natural ingredients like mineral dead sea mud from Israel, shea butter and essential oils this mineral-rich mask has a gentle pulling action which exfoliates, detoxes and removes buildup which clogs pores and causes acne. This stocking stuffer is all about giving her time to pamper herself. 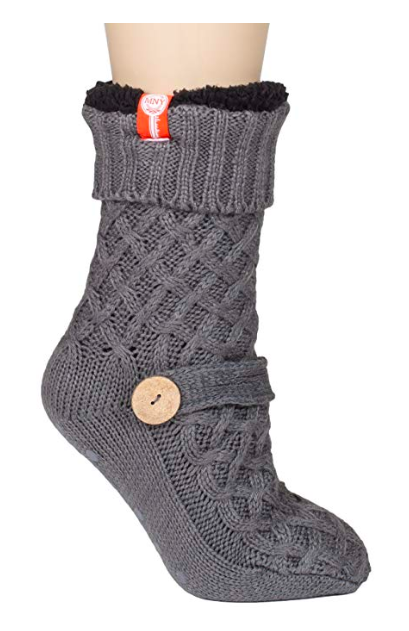 These super comfy knit, non-skid slipper socks will keep her feet warm and in style this winter. Choose from gray, ivory and red! Mom and Dad are now covered so let’s talk about the kids! Here are some super cute stocking stuffing ideas for the little girls in your life! 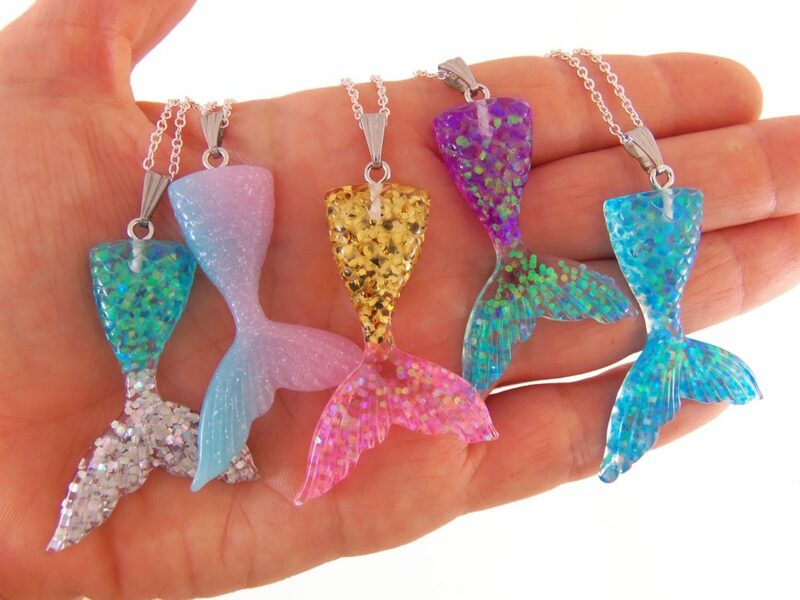 Mermaids seem to always be in style and these cute glittery mermaid tail necklaces will be a delightful surprise on Christmas morning! They come in 12 different color options too. I just think this creative display of fuzzy socks is so cute! 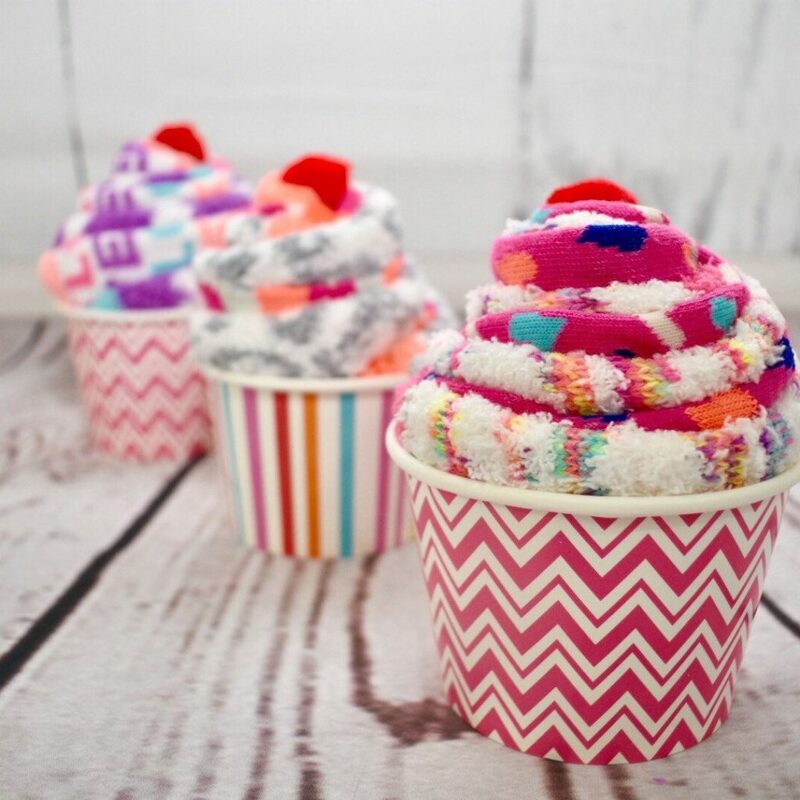 Each Fuzzy Sock Sundae includes 2 pairs of girl’s socks and are packaged in a paper treat cup with a pom pom cherry on top! 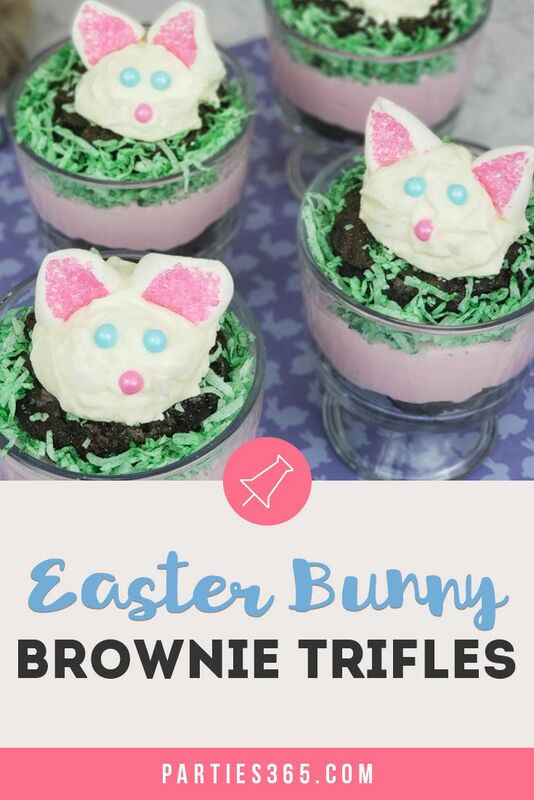 She’ll love this sweet treat! 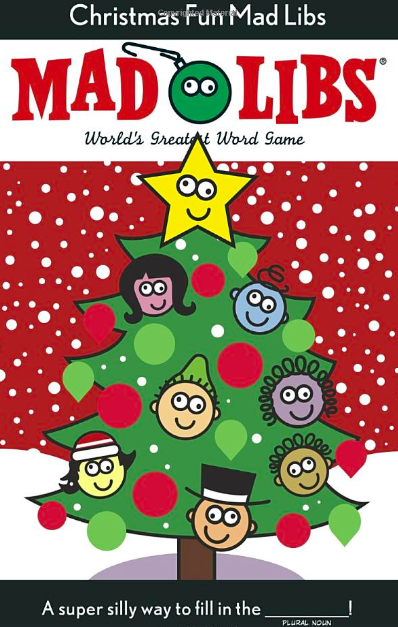 My daughter (age 7) absolutely loves Mad Libs right now! She can’t wait to do the one that comes in her National Geographic Kids subscription (also a great gift idea) and anytime she can get her hands on another she makes me sit down and do it with her right away. This is definitely going in her stocking! Look what we have here… a unicorn! We found one! It should be no surprise that a unicorn would show up on our list at some point, right? 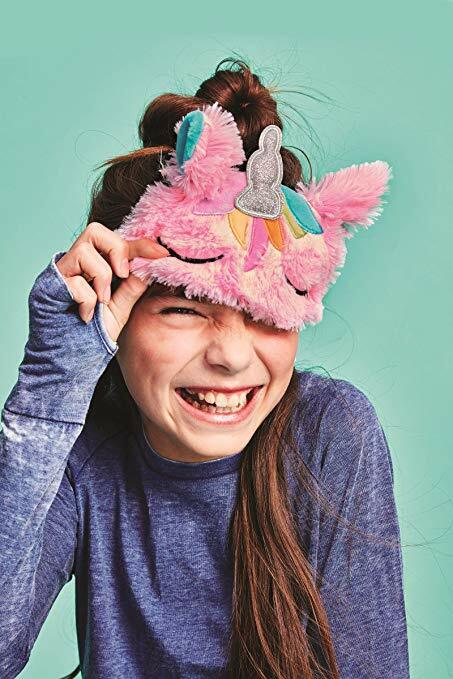 This darling Unicorn Sleep Mask is so cute and would be great for a young girl, tween or teen! There’s just something about getting to turn your hair a different color that little girls love! 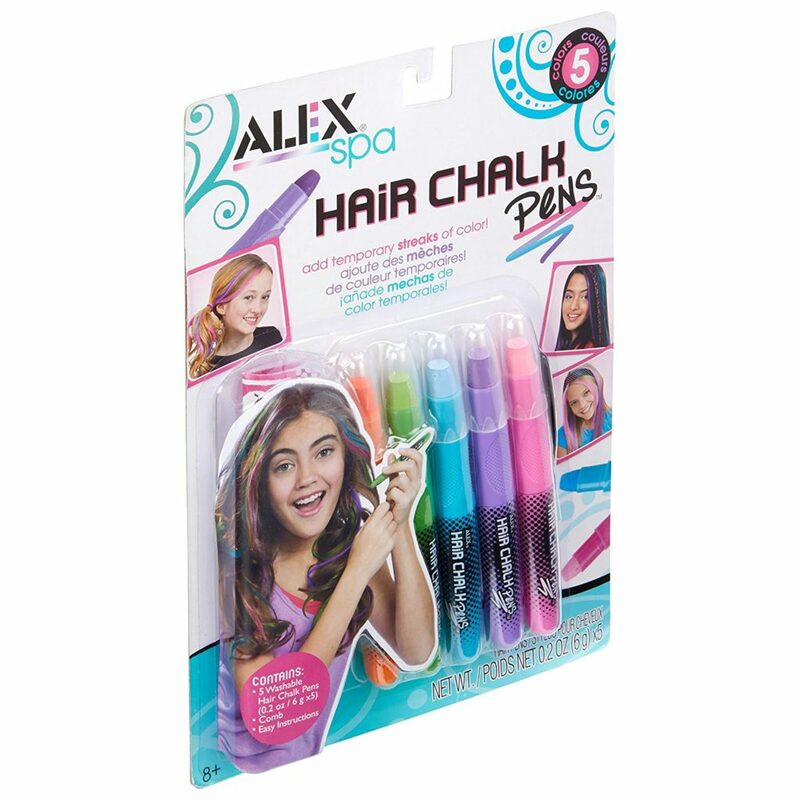 That’s why these temporary hair chalk pens will fill her heart with joy and her hair with color during Christmas break! 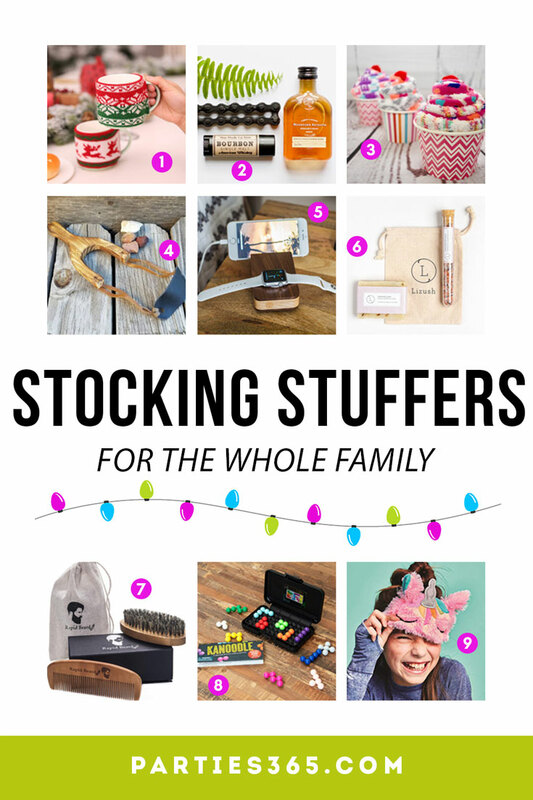 I came across a lot of good options for stocking stuffers for boys, but here are some of my favorites and they’ll work for a variety of ages and stages. This is probably best for boys who have brave moms and dads, because you know, it’s a sling shot! 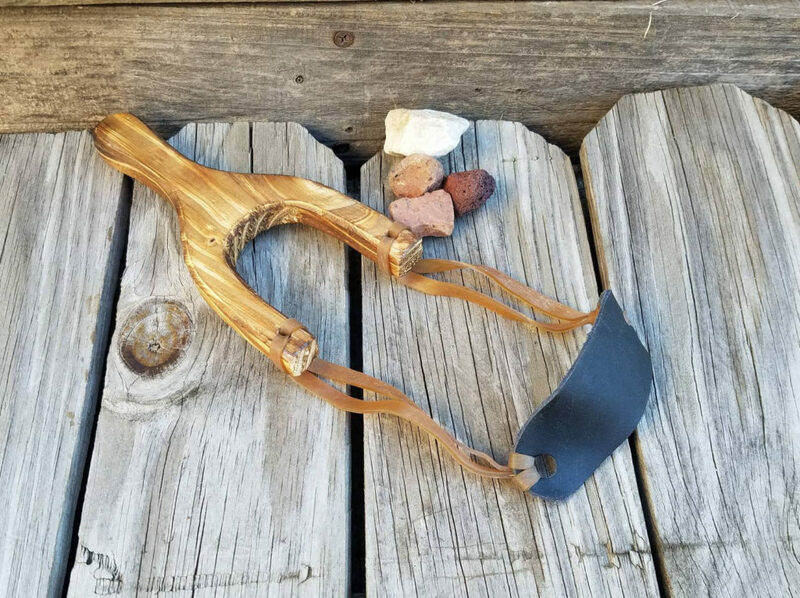 A lesson about safety and being careful not to shoot anyone’s eye out should likely accompany it, but how cool is this handmade sling shot crafted from real hard wood with a true extra thick gauge rubber and a leather “ammo” holster? This clear shea butter soap, with no added fragrance, features a frog trapped inside and you’re little man will have to bathe to get him out! 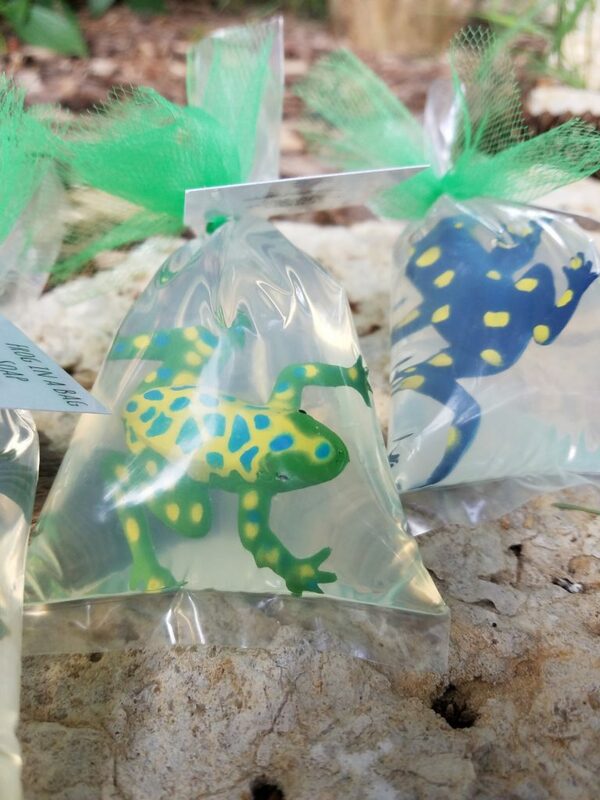 You can choose from an assortment of frog colors too. 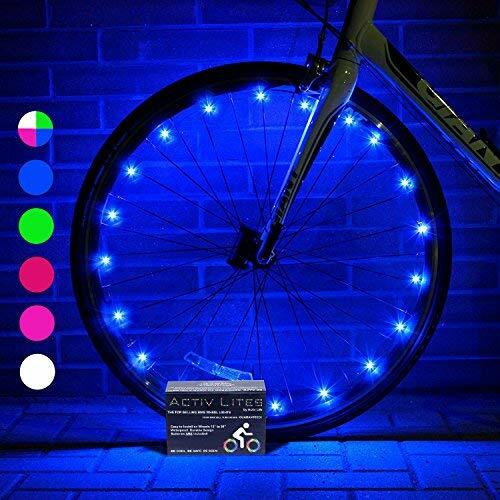 I love these fun LED Bike Lights that come in 7 different colors. They not only keep your child safe at night, but they also allow him to customize his ride in style. In this logical thinking puzzle, you place the pieces as shown on the card and then have to figure out where the rest of the pieces go to complete the puzzle. It’s fun and it develops problem solving and strategic thinking skills. Win-win. 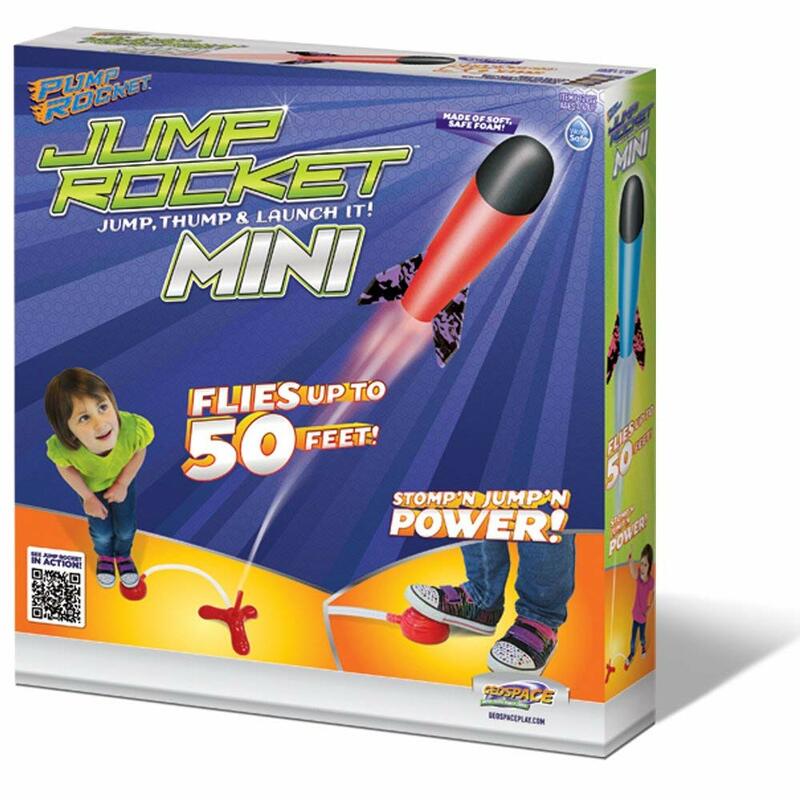 A “Junior” model of the bestselling Jump Rocket air-powered toy, this set includes a launcher, air pump and three rockets. It’s suitable for kids as young as 3 years old, can be used indoors or out and launches rockets up to 50 feet or more! Not always an easy to shop for group, stocking stuffers for teenagers can be tricky. However, we think they’ll like these gift ideas, even if they don’t want you to know! 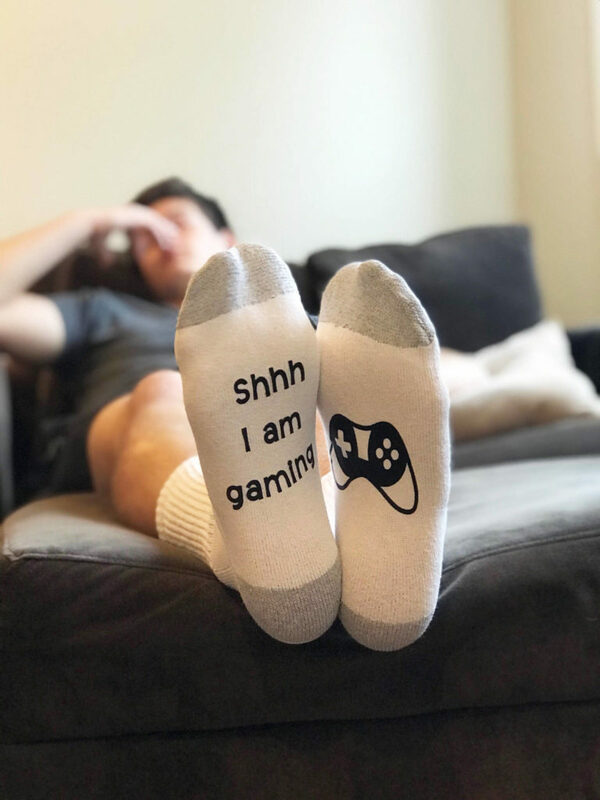 Soft and comfortable, these funny gaming socks will hopefully get a smile on Christmas morning. If you have a Fortnite obsessed tween or tween, you’ll want these “I’m Playing Fortnite” socks instead. 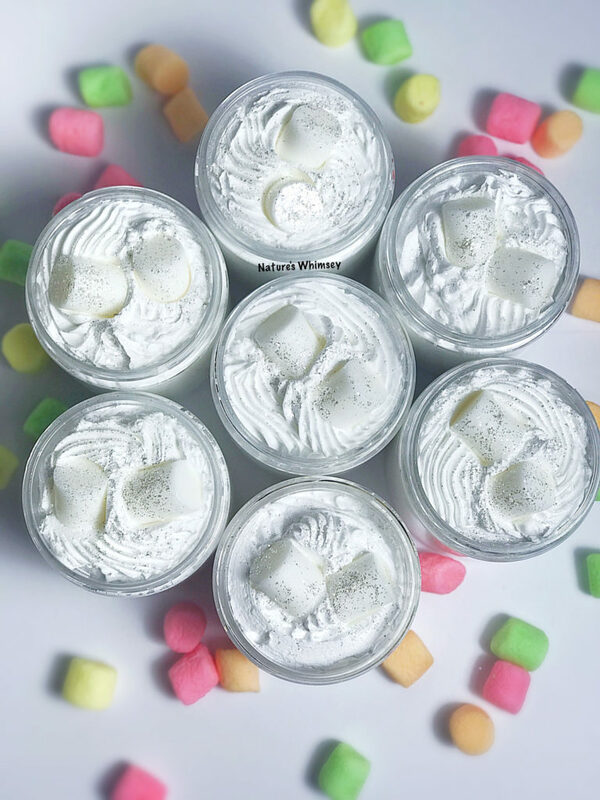 This almost looks too beautiful to use, but we’re sure your teen will love this jar of Marshmallow Fluffy Whipped Soap. 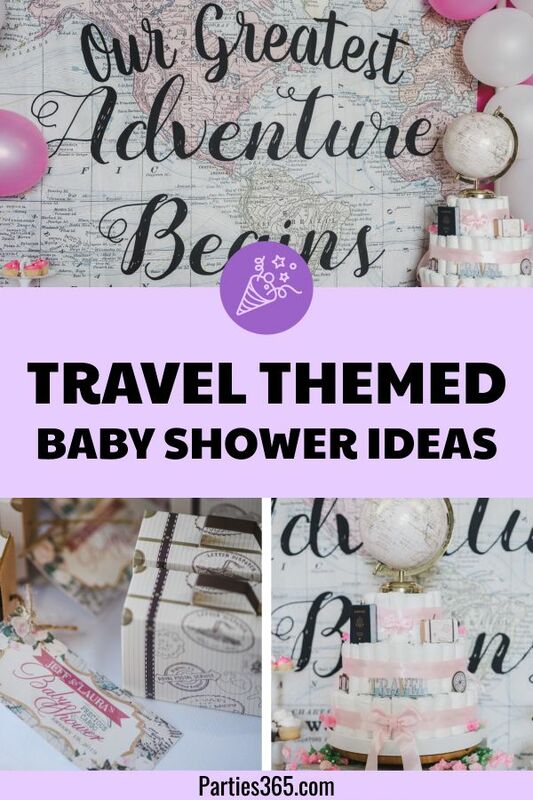 She can use it on her pouf in the shower or with a washcloth for a delightful bath. 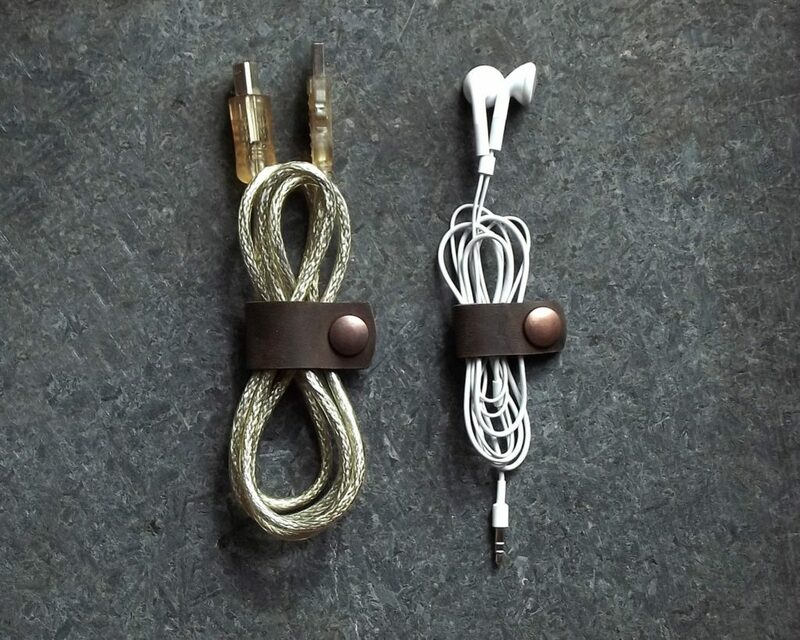 This set of two leather cable bands, or cord organizers is perfect for keeping headphones and other USB accessories neat inside a purse or backpack. There’s a large size and a small size in the set and you can choose the finish of the snaps. 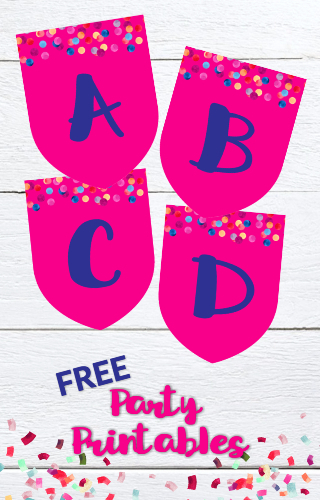 Inspired by Cards Against Humanity, this version is made for kids and 100% family-friendly! 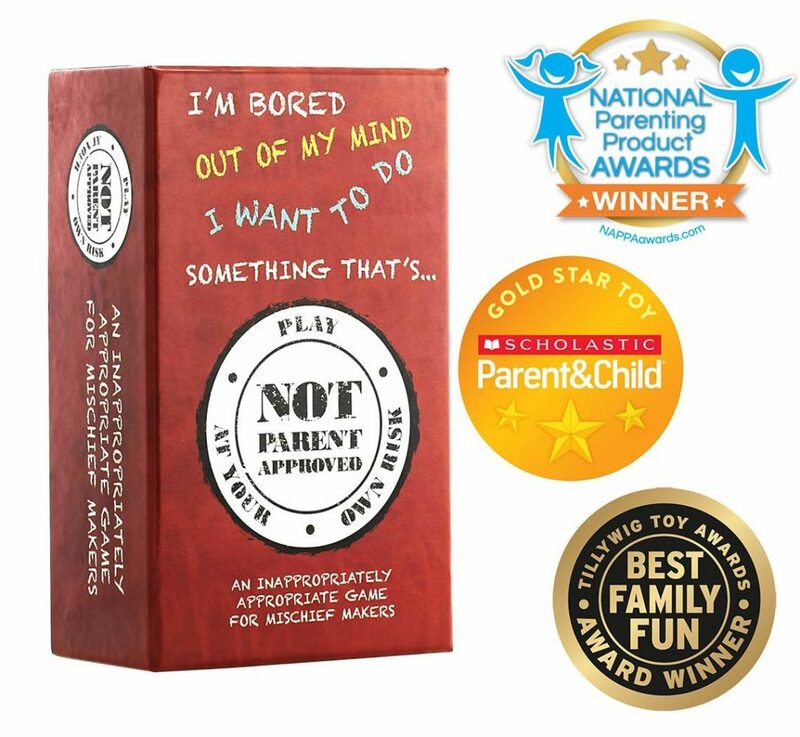 Not Parent Approved is a hilarious fill-in-the-blank party game for tweens, young teens and their families (4-10 players, ages 8+). Maybe you can use it to reintroduce a love of tabletop games to this screen-obsessed generation? Maybe? And when all else fails, or you’ve run out of time and it’s Christmas Eve, money is always a good stocking stuffer, right?! 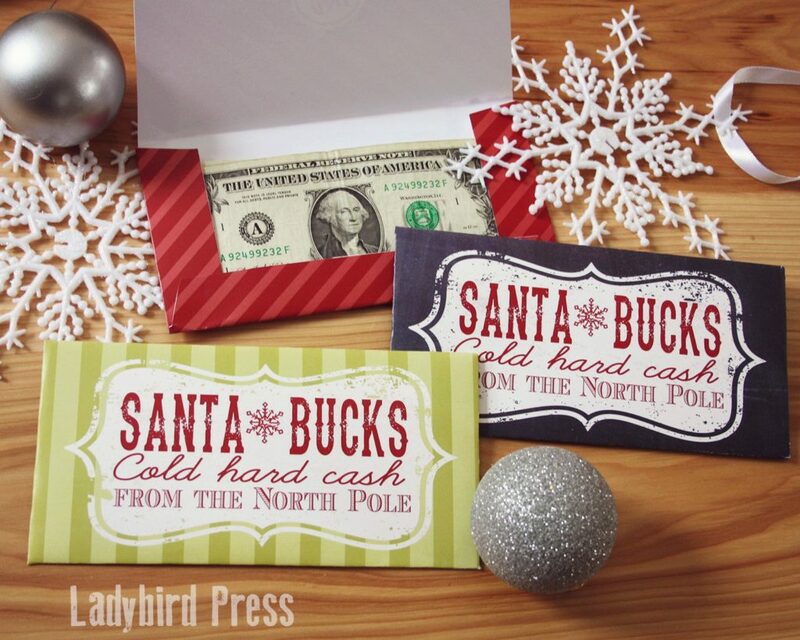 Put it in this cute Santa Bucks Holder that you can print from home and Santa’s work is done! Whew! Hopefully you found serval options for stocking your family’s stockings this Christmas! We have other Gift Guides full of unique ideas to help you find the perfect present this season too.